Yeh Hai Mohabbatein team has once again flown to a different continent to shoot for a crucial track in the show. After Australia and Budapest, they have reached London this time, to shoot for the show. Here are some photos of Divyanka Tripathi, Karan Patel, Anita Hassanandani, and the rest of the team from the fun shoot schedule! 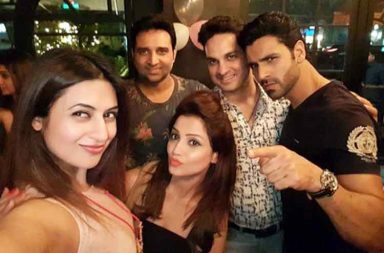 Divyanka’s husband, Vivek Dahiya, has joined the team of Yeh Hai Mohabbatein in London. 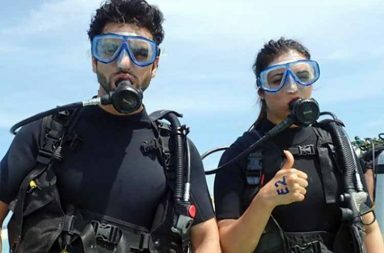 Divyanka shared this photo showing their excitement for the trip on Instagram. Vivek used to play the role of Inspector Abhishek in the show earlier. Divyanka Tripathi is looking gorgeous in this sun-kissed selfie from London. Her surreal smile is melting many hearts. She is one of the most beautiful faces on the small screen right now. The actress is shooting for her hit show Yeh Hai Mohabbatein there. Anita Hassanandani, Divyanka Tripathi, Krishna Mukherjee, and Karan Patel are having a stunning time in London. The photos that they have been sharing online are drop-dead gorgeous. Their work is surely more fun than yours. Vivek and Divyanka are brewing their romance on the streets of London now. Their latest escapade was shared on Instagram by Vivek Dahiya, “Our last escapade was hustling in the cold by walking on iced slippery roads for an authentic calzone.. #WorthIt (sic)”. 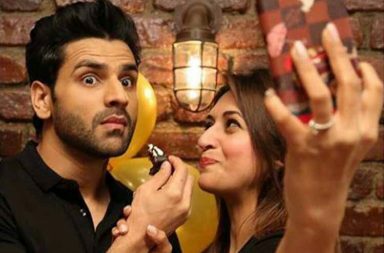 Vivek Dahiya and Mushtaq Sheikh are looking uber cute in this pic from the London sets of Yeh Hai Mohabbatein. Vivek has shared the pic on Instagram with the caption, “The classic selfie by @mushtaqshiekh #SmileThatDrawsAttention (sic)”. The father-son duo of Yeh Hai Mohabbatein, Karan Patel and Abhishek Verma are totally enjoying the London vibe. Posing for a selfie with Mushtaq Sheikh, the duo is looking absolutely dapper here. Ekta Kapoor and Anita Hassanandani are looking stunning in this happy selfie shared by Mushtaq Sheikh on Instagram with the caption, “So London it is!! Now to keep warm in the sub zero snow!! Ekta Kapoor and Anita Hassanandani are not just co-workers but also amazing friends. They are bonding some more in the picturesque London right now while shooting for their popular show, Yeh Hai Mohabbatein. Yeh Hai Mohabbatein team reached London on March 20, to shoot for the next big twist in the show helmed by Divyanka Tripathi. Karan Patel, Divyanka Tripathi, and Anita Hassanandani are looking super excited for the visit in this pic. Karan Patel just loves London. He had rung in the new year 2018 from there with his wife. And now, he has again landed there, this time to shoot for his show, Yeh Hai Mohabbatein. He is enjoying the vibe.